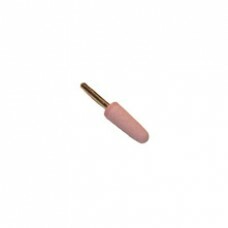 A3 mounted point 6 mm shank. Aluminium Oxide with a low/medium chrome oxide content (Material ref 61A). 16mm diameter x 45mm long on a 6mm shank.